If you are in Barcelona next weekend (27-28th October) and you love the city and its buildings you have a very interesting plan that you can not miss. 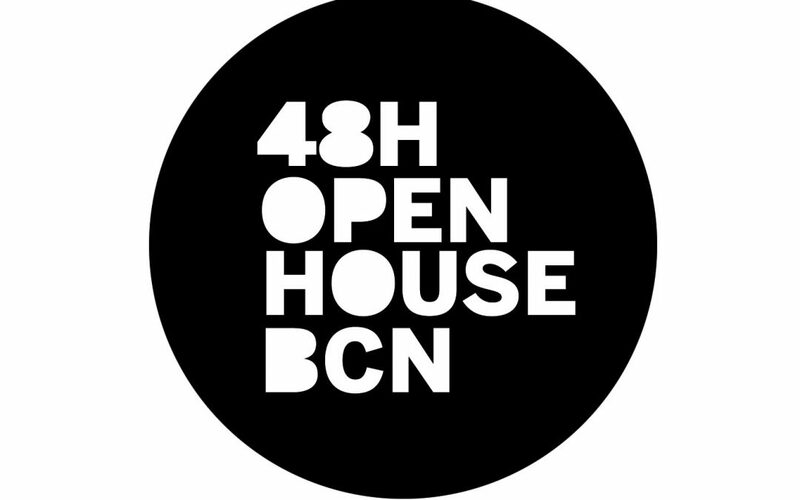 The architecture festival the 48h Open House BCN is taking place in Barcelona. You will have the chance to see the city and its buildings in a surprising way. 48h Open House BCN is an architecture festival, a whole weekend of open doors to many different type of buildings of Barcelona and totally free. I has the vocation of implanting intsel transversally in the society and the territory. The citizens of each district and Barcelona visitors will be able to know the nearest and the most remote heritage, the particular and the particular buildincs, the history of each one. Check their website to see all the buildings you can visit! 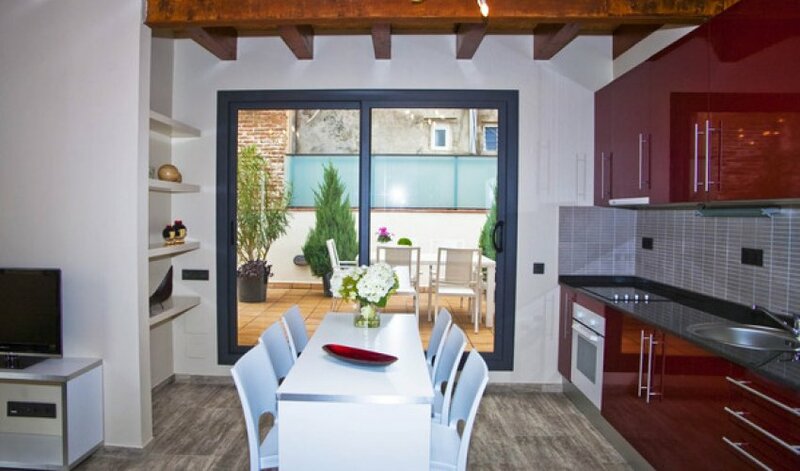 Elegant and modern loft in Sants, great choice for a couple. An elegant 35 sqm Barcelona holiday apartments located very close to Barcelona main station, Sants and capacity for up to 4 people. The decoration is a mixture of contemporary and rustic styles: wooden floors, brick walls, paintings etc create a warm atmosphere. The apartment is an open plan with twin beds and double sofa bed for two guests, private bathroom, a coffee table, TV set and free wi fi. The kitchen is fully equipped with oven and also microwave. Situated in an small, quiet and typical building of the area, recently renovated. There are a total of 9 apartments in the same building. Comfortable apartment with bright and sunny terrace. The decoration is a mixture of contemporary and rustic styles: wooden floors, brick walls, warm atmosphere. There are three double bedrooms with a comfortable twin beds and wardrobe for your clothes, as well as bedside tables and lamps on top. One of the bedrooms have ensuite bathroom with shower. The second bathroom is also complete, with shower, wash basin and WC. The living room captures the light on a sunny day and from here you have an access to the private terrace where you can find tables and chairs and plants. 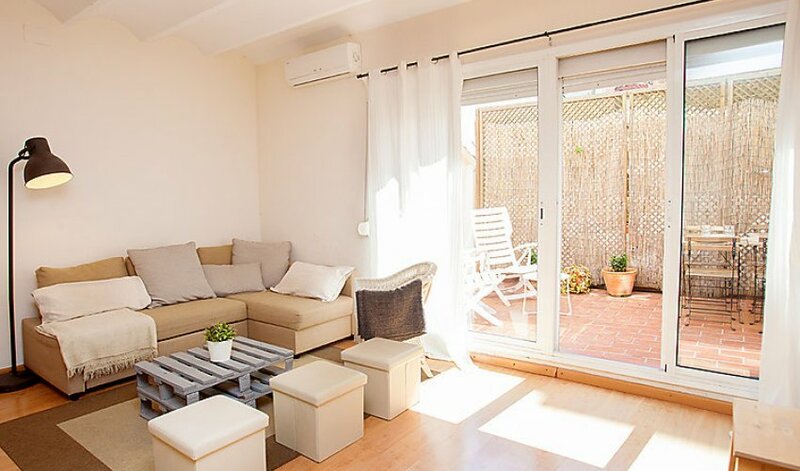 Charming one bedroom terrace in Sants. 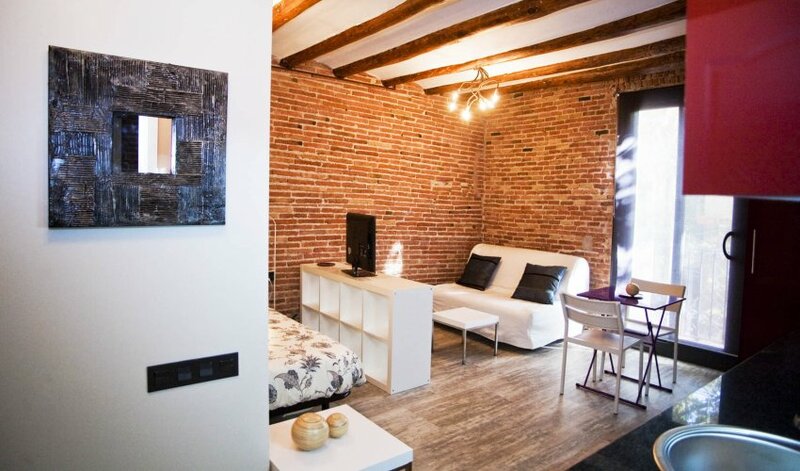 Cosy and spacious charming flats in Barcelona. One bedroom apartment with direct access to a sunny and spacious terrace. The bright living room has a comfortable sofa bed and direct access to the private terrace. The fully equipped kitchen is opened to the living room and has any cooking facilities necessary for preparing a delicious homemade meal. The quiet double bedroom is right next to the living room and has a wardrobe, side tables and gets the fresh from the air conditioning in the living room. There is a full bathroom with bathtub and a long corridor with an small spare room at the entrance. The apartment is also equipped with washing machine and dryer. The area were the apartment Barcelona is located is very local and safe, near metros Badal (L5) and Mercat Nou (L1) and walking distance to main train station Sants.